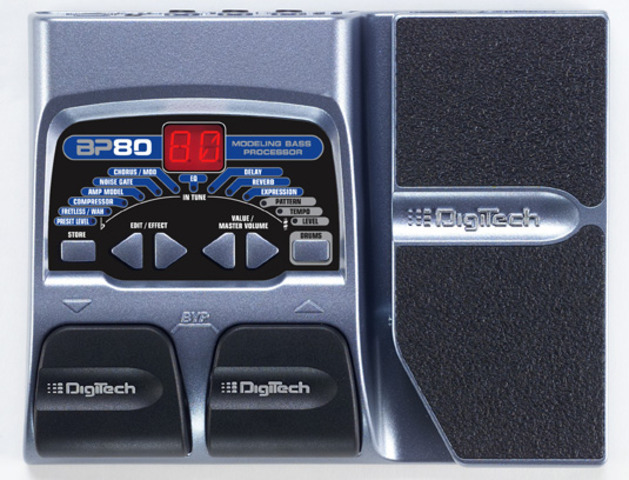 The BP80 is a revolutionary Amp Modeling multi-effects processor for the performing bassist. Powered by DigiTech's awesome AudioDNA™ DSP processor, the BP80 features 16 bass amp and stompbox models and a host of other effects for creating your own signature sound; and the built-in expression pedal can be assigned to control your choice of parameters in real time. 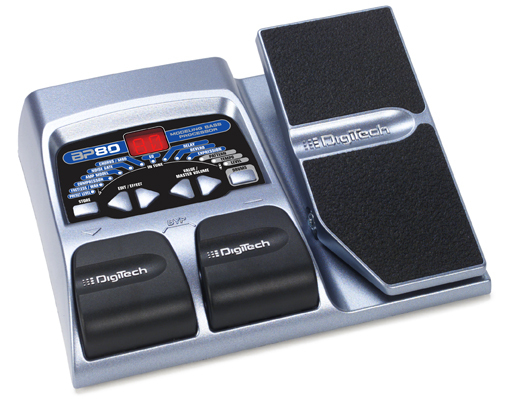 The BP80 is designed with an intelligent, easy to use editing interface. Just select the effect and dial in your desired setting. The Drum Machine is a great tool for polishing up your timing with your choice of different patterns, tempo, and adjustable volume level; and the chromatic tuner lets you quickly check or tune your instrument with a 13-LED array for spot on accuracy. The BP80 comes ready to use with 40 great Factory Presets, and includes 40 User Presets locations for your own custom creations. The rear panel features a single 1/4" input, 1/4" Left and Right outputs, 1/8" stereo headphone output.